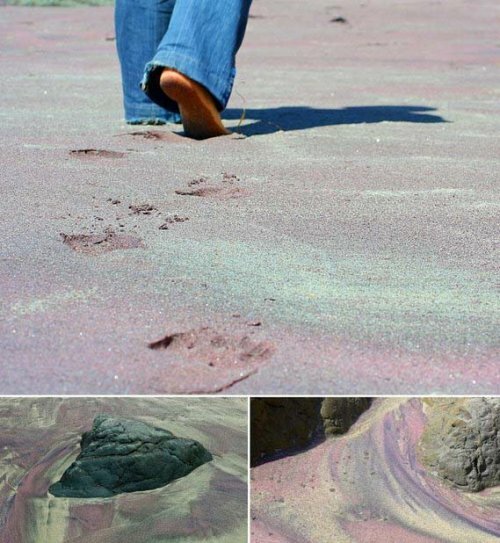 Have a look at these gorgeous beach sand colors….A truly astonishing nature phenomenon! 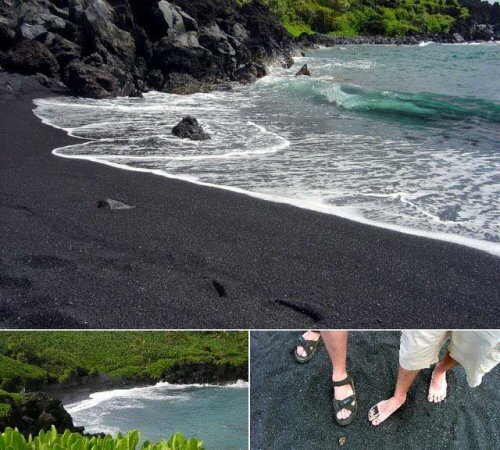 Punalu’u Beach is the most visited of the few black sand beaches on Hawaii’s Big Island and the stunning black sand is actually volcanic rock, deposited as lava and subsequently cooled when met by the ocean. One of only 2 green sand beaches in the world, the truly magnificent sight of Papakolea Beach can be experienced by travelling to Hawaii’s Ka’u district. 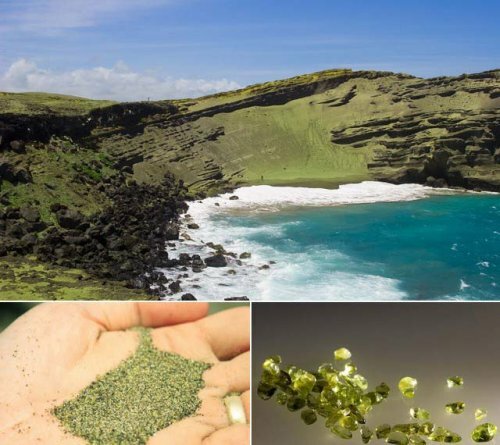 Again, the unique color of its sand can be attributed to volcanic activity – specifically, the green hue comes from the abundance of olivine crystals that are produced as a result of a nearby cinder cone erupting and eroding. You must wear your shades when visiting Hyams Beach in New South Wales, Australia, but not just due to the sun. 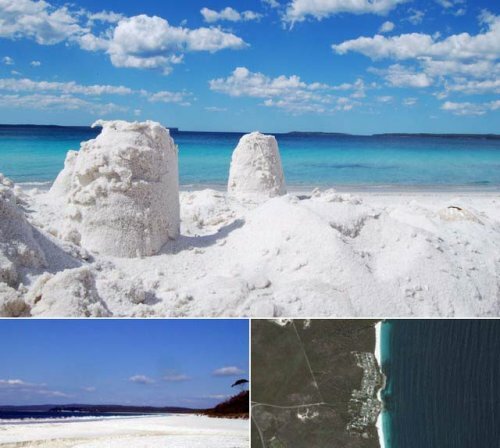 This sublime stretch of beach is home to the whitest sand in the world, an honor awarded by the Guinness Book of Records. The hills surrounding Pfeiffer Beach in Big Sur, California, are rich in Manganese Garnet. A result of this being washed down onto the beach is the color scheme you can see above – the entire stretch of sand has turned into the shades of purple and pink. You won’t find many beaches elsewhere in the world with sand as red as this one. 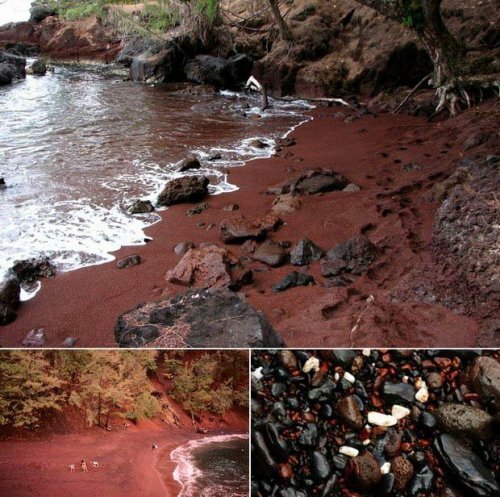 Kaihalulu, or Red Sand Beach, is situated on the island of Maui and can thank the neighboring cindercone hill for its intensely deep red appearance. Next story What Goes Into Making A Mobile-Friendly Shopping Website?